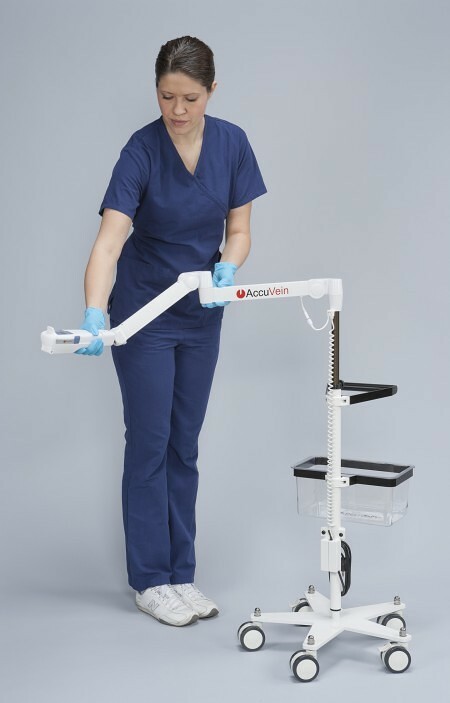 The HF470 wheeled stand is the latest in AccuVein’s family of hands-free accessories and it is ideal for any medical setting in which vein illumination needs to be brought to the patient, as the stand’s stable base and smooth gliding wheels allow it to be easily maneuvered. What’s new with the HF470? 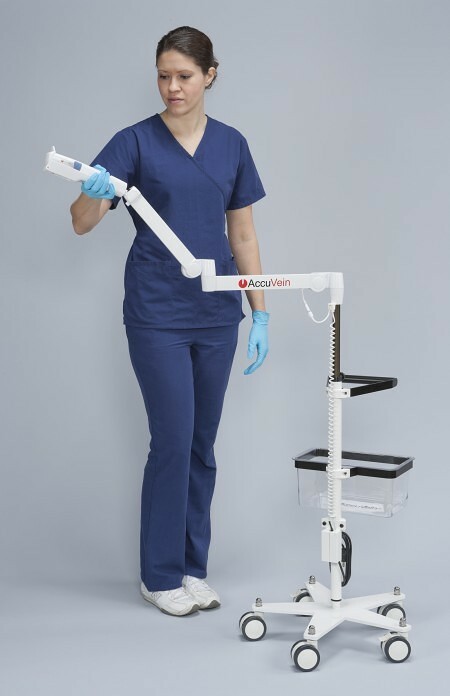 Now there is no need to return the AccuVein AV400 to the charging cradle in between uses; the device charges while it is in the secure “quick cup” of the HF470 stand. This “quick cup” allows the AV400 to be easily placed in the stand after you’ve assessed the vasculature and are ready to perform the venipuncture. Using the ball joint arm, the AV400 can be precisely positioned to keep the selected vein highlighted. 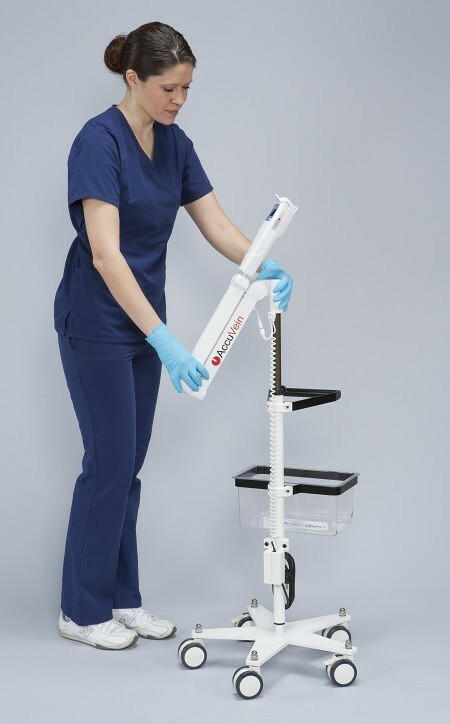 And the patient can be easily accessed with the arm’s extended and flexible reach.